← Time to Get Organized: ULTIMATE Spring Cleaning Tips! Dot it up and plan it out! 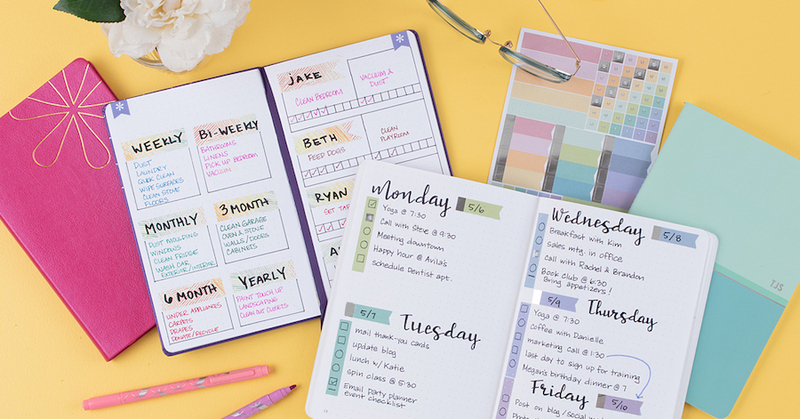 Learn how to stylize and streamline your goals with dot grid planning! 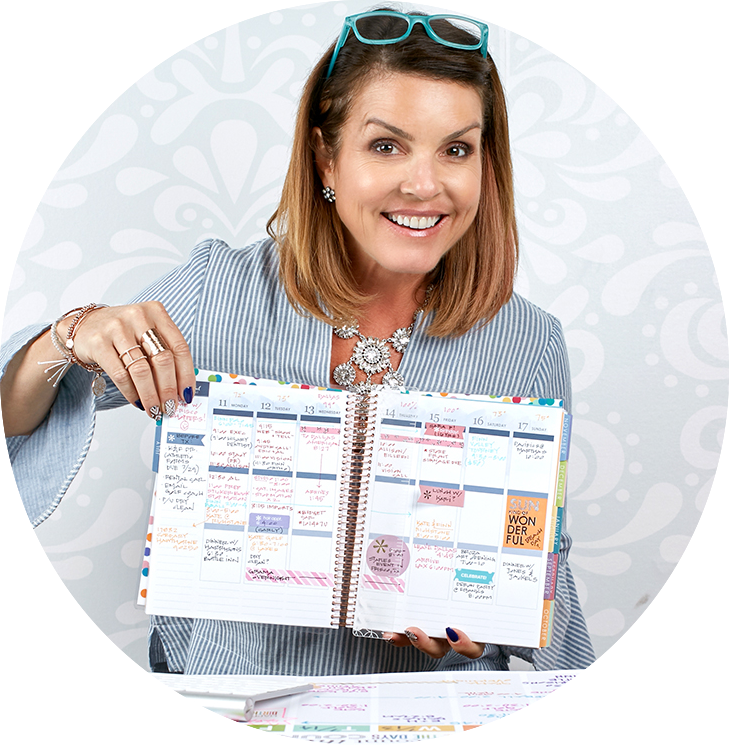 Here are five quick tips to get you started on your new dot grid planning adventure with Erin Condren’s NEW Dot Grid Journaling Collection! Tip #1: Make it your own. The best thing about dot grid planning is how fully customizable it is. 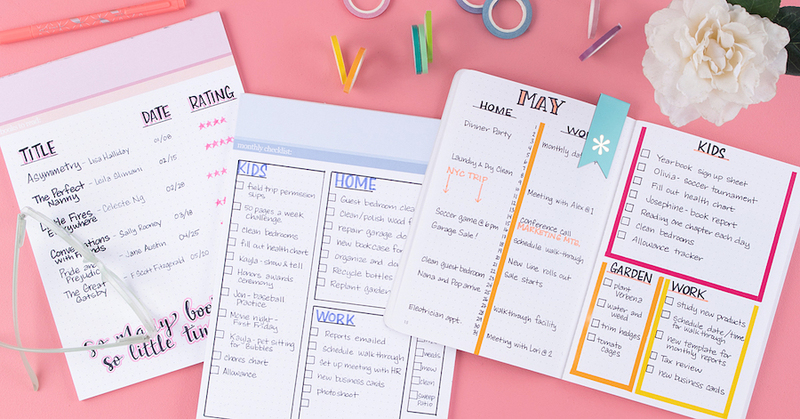 Whether you’re a minimalist who loves simple checklists, or you’re a creative who loves stickers, stamps & color coding, it can work for anyone. It’s wide open for you to create your own style! Not sure what your style is? Try out a few & stick with what feels natural. Exploring is half the fun! Tip #2: Start with a dot grid journal, notebook or notepad. Dot grid pages, as opposed to blank or lined pages, are easier for creating dotted lists, using functional stickers, sketching, stamping, you name it! 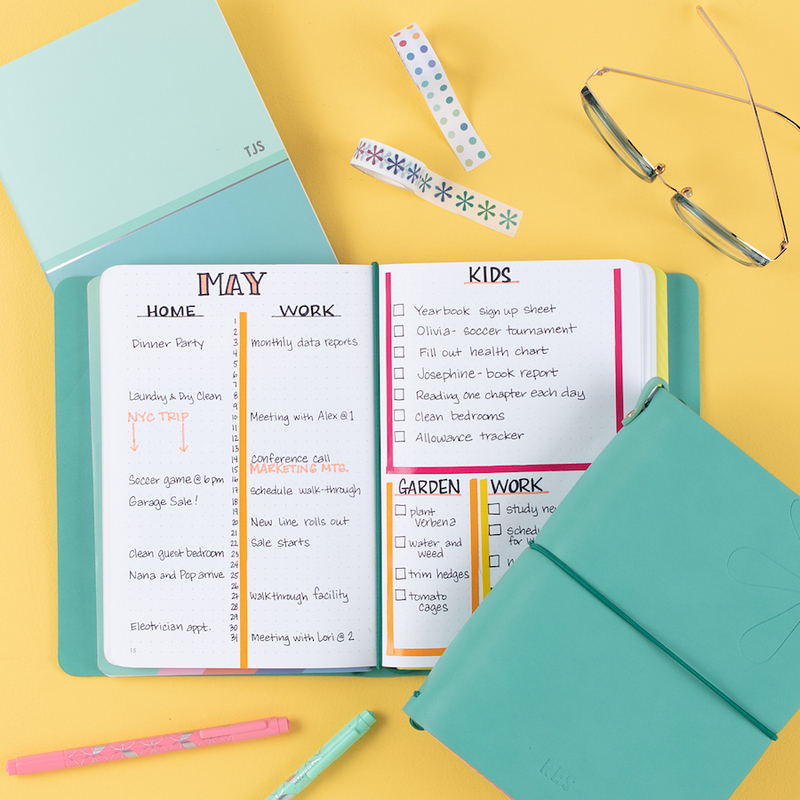 If you prefer tighter lists, use the standard 5mm dot grid spacing, as seen in the photo featuring the new Erin Condren Dot Grid Petite Journals. But if you like things a little roomier, our classic Dot Grid Petite Journals & new Softbound Notebooks (seen above) have got you covered with 7mm dot grid spacing. Tip #3: Use an index & page numbers. Simple and streamlined, using an index and pagination makes dot grid planning smooth and easy to use. Being able to refer to an index of important notes, events, list collections, etc. with page numbers helps you find exactly what you’re looking for in your dot grid journal without wasting time flipping back and forth. Talk about saving time & boosting organization! Tip #4: Make it fun! 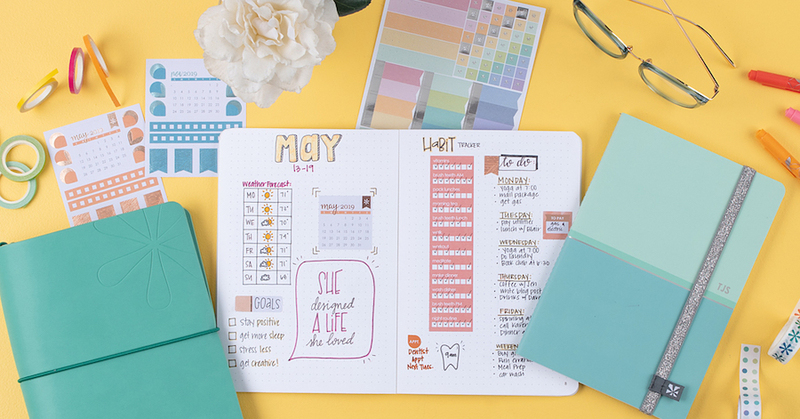 Use accessories that put the FUN in FUNctional to help you organize & stylize your dot grid planning. 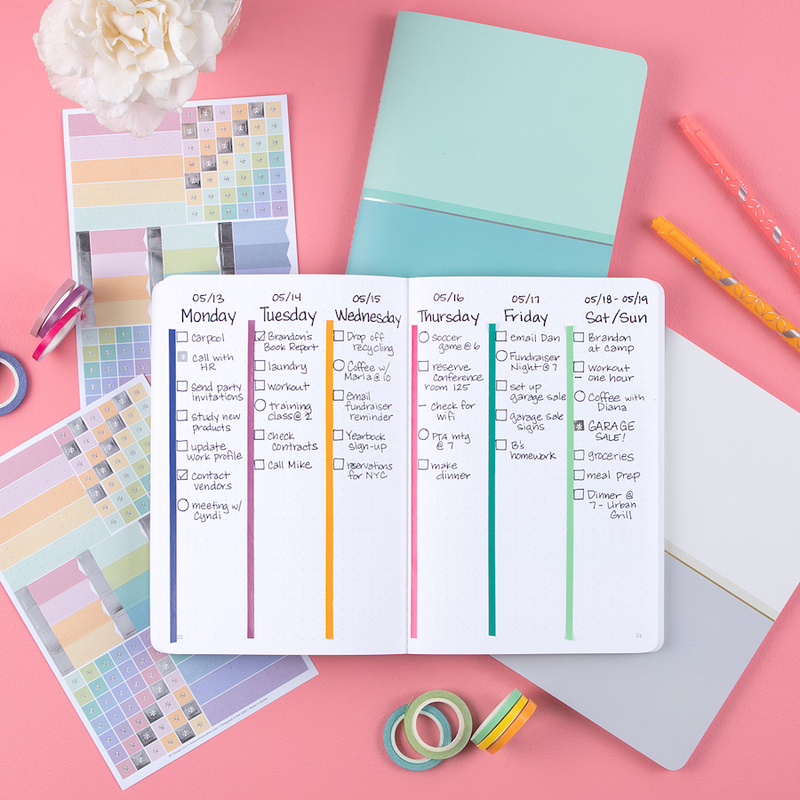 Dual-tip markers, planning stickers, washi, color-coded adhesive tabs & flags make staying organized easy (and enjoyable)! Bonus: when you enjoy staying organized, it’s easier to stay motivated and keep it up! Tip #5: Keep it together. Stay organized on the go with your dot grid journals in an On the Go Folio. You can also attach a snazzy Planny Pack to your folio to tote all of your colorful writing tools & stickers. And top off your on-the-go ensemble with a stylish tote. Now you’re on the move … and keeping organized too! Grab a good-to-go Dot Grid Starter Bundle with everything you need to get your dot grid planning adventure started! Happy organizing!